It doesn’t get any easier staying up to date! MobileRadar is our really easy, intelligent app for your mobile phone. 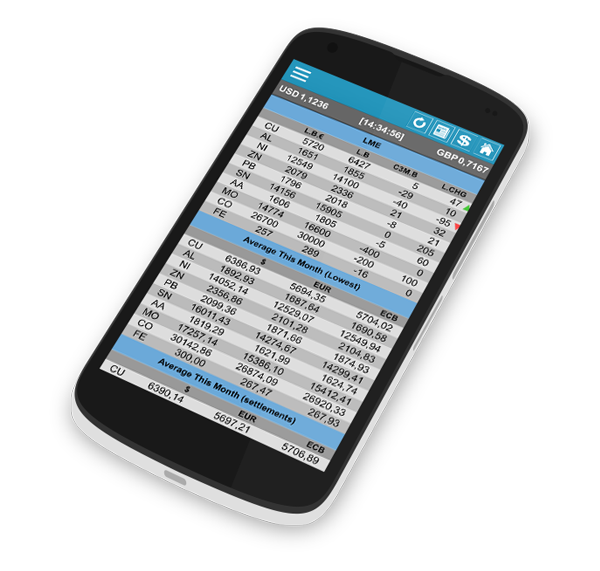 See real-time LME and scrap prices with the click of a button. MobileRadar is super-fast, user friendly and it’s all you’ll need on the road. No matter what phone you have, we got you covered. Totally free App’s for all major platforms are available in their app stores.